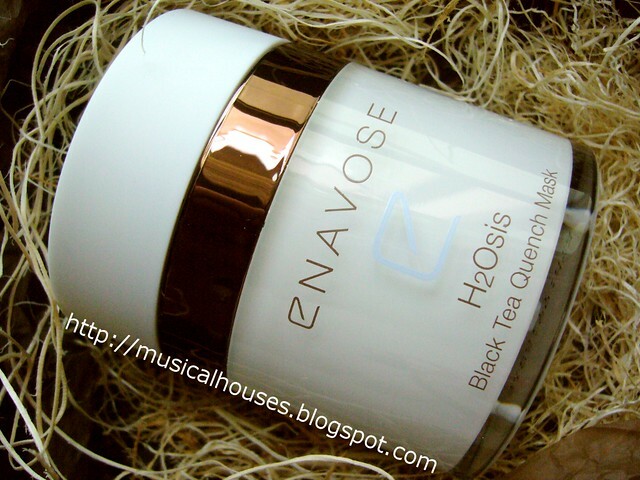 Enavose is a skincare brand hailing from Switzerland, and has only in recent years hit Singaporean shores. The brand promotes itself as being a natural brand with products formulated bases on research. I'm always partial to European skincare brands - the best ones have excellent quality that is hard to replicate elsewhere. And unlike American or Asian skincare brands, which can be very trend-driven and tend to be susceptible to jumping on the bandwagon (e.g. "Facial foams/cleansing oils/sleeping masks are popular now! Let's quickly jump on the bandwagon and launch one now! "), the best skincare brands don't. In this sense, I have a lot of respect for Enavose. Their product lineup makes sense, is clear in its ingredients and benefits (none of that "7-products-in-1" nonsense), and doesn't have any trend-driven elements. It comes across as a sensible brand. In particular, the Black Tea mask, which I tried, was a pleasant surprise. The packaging was simple yet practical. When I first saw the jar packaging, I thought, "Oh, yet another unhygienically packed mask in a jar." But the opening actually has a mechanism whereby a bit of the mask is dispensed if you press on the inner lid, so that's pretty cool. Turns out, it's actually a jar with an airless mechanism, so your product isn't tainted by air once open. I really think this is a nice touch - it really shows the level of attention to detail the brand has. Enavose claims that the mask will revitalize dry skin in 15 minutes, and has encapsulation technology which allows for time-release of their key ingredient (glacial water). Other active ingredients include sweet black tea, extracts of arnica montana flower, lecithin, and a yeast-derived ingredient, which the company has branded Envacel. When I saw the "Envacel" on the press release, I was like, "Pfft, the marketing guys have been making up fancy names for common ingredients to generate more buzz". You know, like those companies claiming their products have "cellular repair matrix" or "nano-nutrient complex" or "pico-nutrients" (before you roll your eyes at my examples, the last one is real). I mean, those are just marketing names, they aren't actually proper ingredient names (e.g. cyclomethicone, isopropyl alcohol, cocoamidopropyl betaine, etc). This type of marketing usually makes me a little more skeptical of a product. But I was pleasantly surprised - this actually seems to work. The mask itself is a lightweight, white gel that applies clear. It doesn't have any scent, which I'm grateful for. On my skin, it feels light, and doesn't irritate my skin. After leaving it on for 10 - 15 minutes, you wash off the mask with warm water. I don't know if I'm imagining things, but I feel like my skin is smoother and more moisturized after use. I also like that it washes off easily without leaving any residue behind. To be honest, this performed beyond my expectations. Needless to say, I had to eat my words, and admit that this worked. 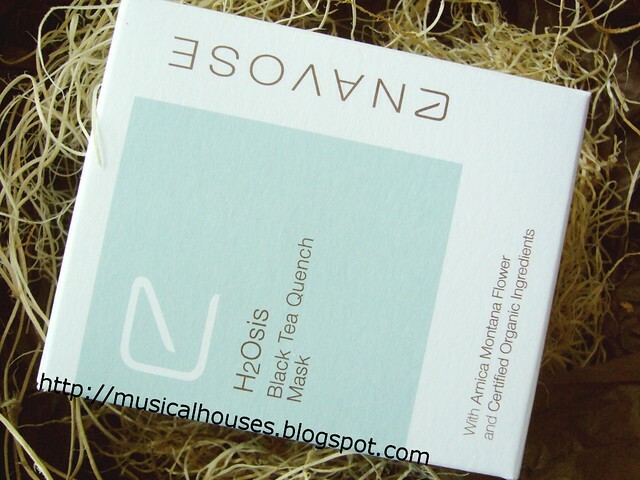 All in all, I really like the Enavose Black Tea Mask. It works, is of good quality, and is easy to use. And while you know I can be mean and I like to have a good laugh at the expense of the marketing guys (to be fair, I'm an equal-opportunity offender in that respect), I really do appreciate the attention to detail and quality that Enavose has put in. And for the price point, although it's not exactly drugstore-cheap, I think the quality is worth it. I even daresay that at this price range, most brands may not even be as good in quality as Enavose. Enavose has counters at Suntec City Mall (Tower 3) and Tangs, VivoCity Beauty Hall, and the mask costs S$59.90. They also have an Enavose Facebook Page that you can check out for other products. 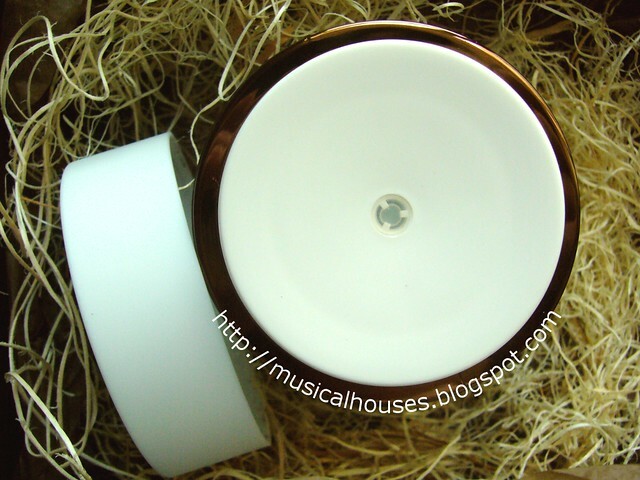 How do you get your watermark to match the shape of objects in the pic? It looks so cool!